Visiting Chinese management trainees Naomi, left, and Cat. Delicious food at the Holiday Inn Resort Phuket Mai Khao Beach. Two Chinese management trainees helped Holiday Inn Resort Phuket Mai Khao Beach’s executive chef Dennis Barton create the perfect Chinese New Year meal for guests at the resort on Monday (January 23). Naomi and Cat, both 21 years-old, are in their third week of a three-month work experience stint at the resort. 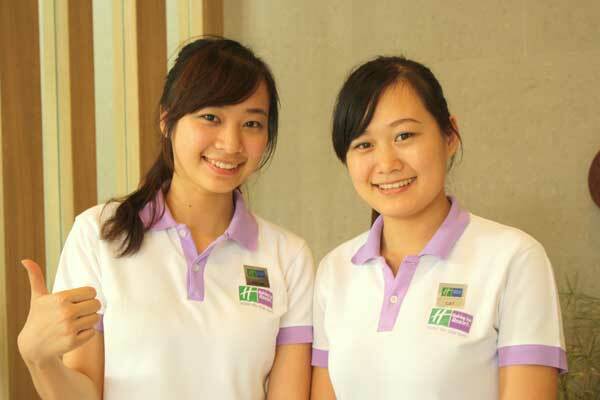 They are studying at the Yingxin Hospitality Management College of CUTT, in Chengdu, central China. Chef Barton has experience with Chinese dishes, having worked in various Chinese restaurants and with Chinese chefs before, but the two students have been able to help perfect the dishes and share with Chef Barton tips, tricks and secrets of their own. While on their work experience, the girls have also been helping to translate menus for the resort’s Chinese guests, plus providing a traditional Chinese breakfast for them, including hot soya bean milk (dujiang) and rice porridge (zhou). For Naomi, the trip is her first out of China and her first time seeing a beach, as well as tasting fruits such as guava. On Monday night the girls dressed in qi pao, their traditional Chinese New Year red dresses with gold tassels, much to the delight of hotel guests. 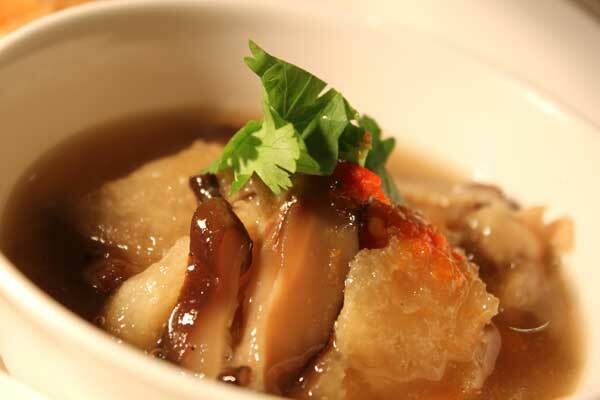 and chive dumplings which mean eternity, plus long noodles which translate to good luck for a long life. Dishes on Monday evening included Hong Kong barbecue pig, king prawns in Xo sauce, Chinese roasted duck roll with hoi sin sauce, thousand-year egg with pickled ginger, plus mooncakes, white bean cheese tart and steamed rice cake. 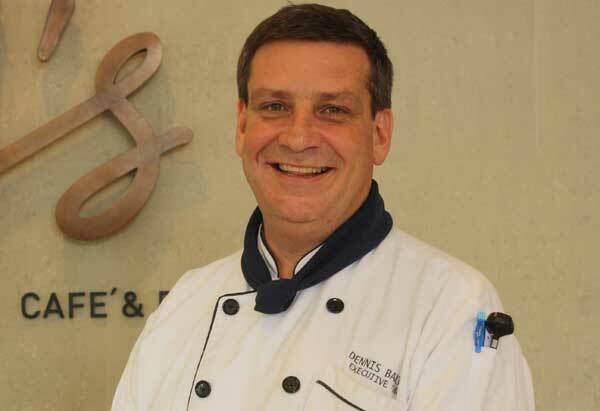 Chef Barton has been an executive chef for around 20 years and has a wealth of experience working in Australia, New Zealand, the Philippines, Pattaya and the Maldives. He was trained in French/German cuisine but today has extensive experience in many other cuisines, and says his cooking style is a “modern approach to classic food”. He says his aim for the Chinese New Year feast was to create dishes that had meaning, and include both traditional foods and favourites that guests would recognise.